Titles describe what viewers can expect to find in your video and should be as accurate as possible. Descriptions are a great place to share details like resources, nonprofits, organizations, or other channels that support the initiative. Thumbnails should visually communicate the topic. Avoid misleading images and clickbait. Use the hashtag #CreatorsforChange to help your videos be categorized in search results with other social impact videos. You can create playlists, cards, and end cards to extend viewers’ watching sessions by pointing to other videos on your channel or highlight other creators who are discussing similar issues. Take photos during your shoot that could potentially be used as thumbnails. When sharing on social media, use video links from inside a playlist, to encourage more watch time on your channel. For longer form content, consider making a teaser or trailer video. The vlogbrothers use clear and succinct titles so that viewers know what to expect. L-Fresh uses words and images to show what his video will cover. It’s not unusual to find emotional responses in the comments section of videos on sensitive topics. And sometimes these challenge the point of view of the video. How will you respond when someone disagrees with you? Remember, you are in control of your channel and it’s up to you to set the tone of conversations in the comments. You need to decide what you’re comfortable with and feel empowered to remove comments that you don’t like or that make you uneasy. If you’ve done your research beforehand, you should have an understanding of the other side’s point of view and may want to engage in a constructive conversation. Share the love. Respond to positive comments whenever possible. Give your audience a prompt/discussion starter in the comments section--by asking them to address a specific question, you're steering the conversation into a productive place. You don’t have to respond to everything. If it feels like a commenter will not be open to hearing your point of view, or is particularly aggressive, choose if you want to engage with them. Don’t get discouraged. Disagreement doesn’t have to be a bad thing. See if this can become an opportunity to learn something. When engaging in a debate, it can be helpful to root your rebuttal in data whenever possible. Use your moderation tools. Removing comments or blocking someone is sometimes the right response. If you are threatened, tell someone, report the threat to the website, and go to the police if it continues. Online harassment and abuse can be considered illegal in some cases. Learn more about community building and tools for community moderation on YouTube, like hearts and pinning comments. Avoid potentially dangerous situations that might put you at risk for physical harm, abuse or violence. Protect your privacy. Do not share personal information, such as your phone number, email address or home address. Learn more. Make use of the YouTube Safety Center to learn about YouTube's policies, safety practices, and reporting tools. On YouTube, we want to promote tolerance, empathy, and acceptance. Keep in mind that not everything that’s mean or insulting is hate speech, but if you’re upset by content that a specific person is posting, you may wish to consider blocking the user or flagging their content. YouTube has guidelines for content and comments that are and aren’t allowed on the YouTube platform. Any content or comments that violate our set of Community Guidelines may be removed at any time. We don’t allow hate speech -- that’s any content that promotes violence or hatred against individuals or groups based on certain attributes, such as: race or ethnic origin, religion, disability, gender, age, veteran status, and sexual orientation/gender identity. We also don’t allow threats, spam, or harassment. If you have found multiple videos, comments, or a user’s entire account that you wish to report, please visit our reporting tool, where you will be able to submit a more detailed report. 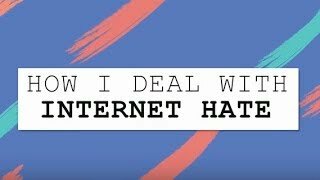 Megan Tonjes gives some advice on how to deal with cyberbullying, hate, and trolling. 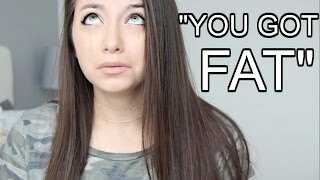 Milana Coco puts a fun, positive spin to the mean or awkward comments she gets. 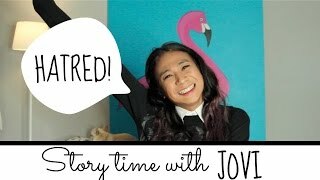 Jovi replies to hate with colorful and dramatic commentary. Once your social impact video or series is out in the wild, it’s important to drive awareness to what else is going on in the world in relation to the topic. If you’re working on projects outside of YouTube, you can link to those in the video description and mention them on your channel. Remember, your audience is likely eager to help, so let them know what actions they can take! 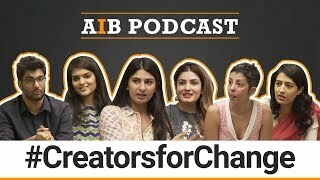 You can further the discussion on YouTube by changing your format and hosting a discussion, like this one by AIB that gives advice to others about online harassment women face and how to make digital environments for them safer. 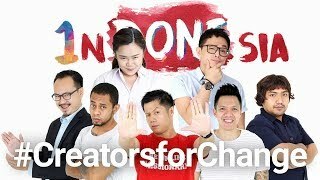 Cameo Project, a comedic troupe in Indonesia known for their fun, lively videos about politics, social issues, and life in Indonesia, held #1DONESIA workshops in cities across Indonesia for students on the importance of creating positive video content and how to be more vocal about pluralism in Indonesia.